This is a very exciting time to be in retina medicine. Treatments are constantly being improved upon. Here at Illinois Retina, we’re at the cutting edge, leading the way in offering the newest clinical studies and most advanced treatments to our patients. Joseph M. Civantos, M.D., is a nationally recognized expert who specializes in the medical and surgical treatment of diseases of the retina and vitreous, including macular degeneration, retinal detachment, diabetic retinopathy, trauma to the eye and retinopathy of prematurity. In addition to his busy medical practice, Dr. Civantos is an Assistant Professor of Ophthalmology at Rush University Medical Center in Chicago. He has been associated with Illinois Retina Associates since 1994. A native of Miami, Dr. Civantos inherited his passion for the practice of medicine from his father, who is also a physician. He received his undergraduate degree in biology from Harvard College in Cambridge, Massachusetts and medical training at the prestigious Columbia University College of Physicians and Surgeons in New York. Dr. Civantos completed an ophthalmology residency at the Bascom Eye Institute in Miami, Florida followed by a retina-vitreous fellowship at Rush University Medical Center in Chicago. Dr. Civantos is certified by the American Board of Ophthalmology. A committed researcher, Dr. Civantos has served as principal investigator for a number of major clinical trials over the years, involving the treatment of macular degeneration, diabetic retinopathy and retinal detachment. Dr. Civantos speaks extensively at ophthalmology meetings throughout the United States. He has published articles for several academic specialty journals and has presented on such topics as the management of dislocated intraocular lenses, ocular infections, diabetic vitrectomy, macular disease, photodynamic therapy in young patients and others. Dr. Civantos holds memberships in several professional societies and organizations and serves on the Board of Directors for the Deicke Center for Visual Rehabilitation in Wheaton. 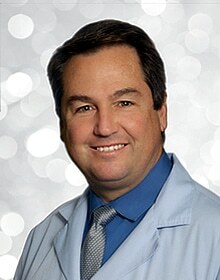 He has been listed in Best Doctors in America and the Guide to America’s Top Ophthalmologists. Dr. Civantos is on staff at several area hospitals and sees patients at Illinois Retina’s Hinsdale, Joliet and Harvey office locations. In his free time, Dr. Civantos, his wife, Lilliam, and their seven children enjoy outdoor sports and activities, including hiking, camping, bicycling and photography.